SAS Press books changed my life story! Like many others, my SAS journey began at university. I was studying mathematics with computing programming and statistics sub majors, which later led to an honors degree in statistics. I had access to SAS Display Manager version 6.11 on Windows, and used SAS on UNIX for forecasting classes. Back then we didn’t have internet access - this was the late 90s - so I relied on the built-in SAS documentation. It wasn’t until I graduated and began working at SAS Institute Australia that I was exposed to (and blown away by!) 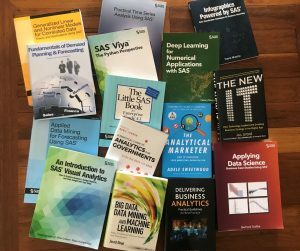 the plethora of SAS books out there. Needless to say, those books were certainly well worn by the time I finally let them go. 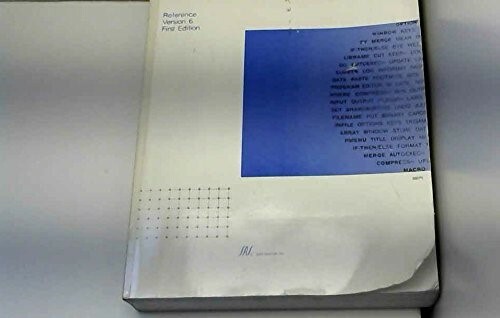 While I still love hard copy books, my bookshelves have inevitably evolved over the years, extending now to course notes, e-books, online documentation at support.sas.com, and articles and posts at communities.sas.com and other social sites. Every now and then I’ll do a bit of a clear out of my physical bookshelf to make way for new books, but I always make sure that my pre-loved books go to good homes! For instance, at the Q2 2018 Queensland SAS User Group meeting (QUEST) in Brisbane last year, I left a selection of books on a table for people to take and donated the remainder to the SAS Brisbane Education training room. I relish the thought of the books living on new bookshelves and continuing their journey in the SAS community. Over the years, I’ve also had a glimpse of the other side of publishing, as a SAS Press book reviewer. I get a real buzz helping authors, learning new content, sharing ideas and offering different thoughts and perspectives. I feel so lucky to be in a position to ‘give back’ to the SAS ecosystem, especially when I cast my mind back to myself as an information-hungry graduate. If you think you might enjoy reviewing a SAS Press book, check out how you can become a reviewer. I’m excited to say that two SAS Press books I reviewed are due for release in 2019… sorry I can’t divulge what books yet; however, I promise I’ll share them on my Twitter and LinkedIn as soon as they can be announced. Overall, I can definitely say that SAS Press books have changed my life, and I genuinely look forward to the many more books I’ll read and share in the future! Michelle Homes is an enthusiastic and active member of the SAS community and social sphere. 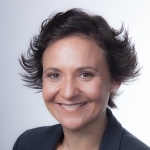 A SAS user since the 1990s, Michelle co-founded Metacoda in 2007 and, as Business Development Manager, enjoys working with SAS customers around the world to help keep their SAS platforms secure through effective metadata administration. Lovely! Thanks for sharing, Michelle. Am really glad that your passion for SAS have stood the test of time and still going strong. Awww thanks Sharon and the same with you. I’m so grateful to be part of a brilliant community!